Rejoice in Me always, says the Lord. Sing unto Me and make melody in your heart to Me. For joy is your portion, not sadness. Pleasure forevermore in My presence is My prescription for you. Walk in the newness that I have for you, and rejoice in Me. For I have given you exceeding, great joy, that is to abide with you, regardless of your circumstances in life. 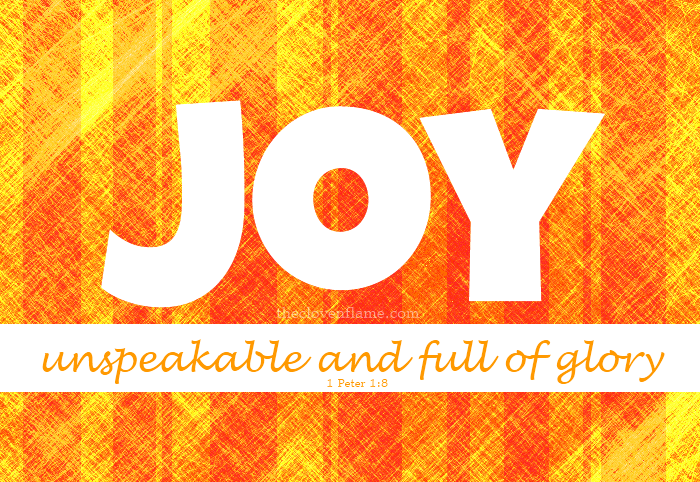 Your joy is to be full! Drink the new wine of My Spirit and be filled with My Spirit! Walk in My Spirit. Laugh in My Spirit! Let My Spirit intoxicate you. Let My joy become part of your signature, for I will pour down the oil of joy upon you, to saturate you and permeate you and it will flow out of you, says the LORD. Spirit of Joy. You already know that I always cause you to triumph in Me, and defeat is never on the table. So, let My joy become your response at all times, and let My praise be continually in your mouth, as I give you My Spirit of joy and laughter, and give you the garment of praise for the spirit of heaviness, says the Lord. REJOICE EVERMORE! Hallelujah thank you Jesus for loving me . Fill me with your joy and laughter oh Lord!! Amen!! Oh! Woooooow! Hallelujah To the king of Kings. To God be the glory!! !